In some cases, in order to test or diagnose e-mail service, an administrator has to check the sending of emails through their Exchange servers (and other email servers) from certain hosts.If a server doesn’t require an authentication (open-relay server), you can send an e-mail from telnet command prompt. However, in most cases, the mailbox servers require the authentication to send an e-mail. 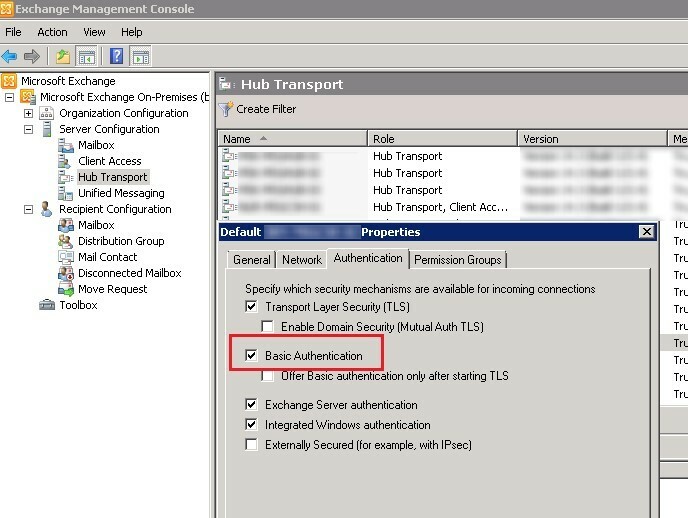 In this example, we’ll show how to perform AUTH LOGIN authentication on the SMTP server and send an e-mail using telnet console. In Exchange terms, AUTH LOGIN is the basic authentication, when user name and password are transmitted over the network encoded using base64 algorithm. The administrators do not usually disable Basic Authentication on the most of internal Exchange servers. You can see if it is supported in the settings of the Receive connector. Note. Please, pay your attention that if the attacker has got an access to the communication channel, he can easily capture and decrypt user credentials encoded with Base64. So this authentication method is recommended only for private corporate networks. To authenticate on the mail server using AUTH LOGIN, you need to convert the user name and password from which the message will be sent to the Base64 format. You can do it using scripts or online services. 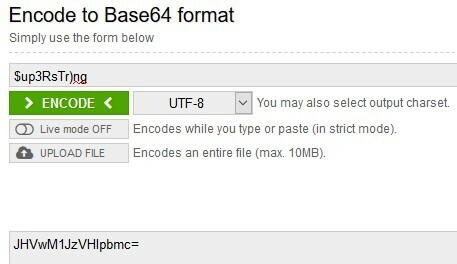 I used this website: https://www.base64encode.org/. The server will return the list of supported authentication types and options. As you can see, there is AUTH LOGIN in the list. This is all, and the e-mail will be successfully delivered to the recipient mailbox.